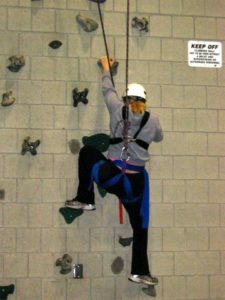 The Adventure Challenge Program is committed to your safety and well being. If you can climb a ladder, you can climb here. Our safety ropes and expert facilitators will help you succeed. Our philosophy is “Challenge by Choice.” Only do what you’re comfortable trying. 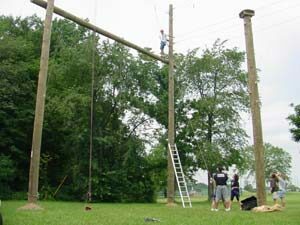 PEFT 185 Ropes Course is available for college credit! See the Online Class Schedule to see when the class is offered.